Whether you are a Unisa student who is aiming for the top or you need a bit of extra help just to get through your exams, the Boston City Campus & Business College Fast Track Seminars are a must for you. The Seminars, which have been running for over 20 years, have gained a reputation as being an excellent way of preparing for upcoming Unisa exams and cover the following degrees: BCom, BCompt, B Compt Honours, BBA, BA Honours in Psychology. According to Katz the results speak for themselves with a substantial number of students producing top results in their examinations. The seminars have also been structured so that they are time-effective, taking into account that many students hold down a full time jobs as well. They have been carefully developed as one intensive session and are run from 16h30 on weekdays and 08h50 on weekends and public holidays. The sessions are presented by well qualified and experienced lecturers and cover a complete revision of the syllabus, exam techniques, study techniques, additional examples and detailed explanations. ‘If you have been studying your Unisa Modules at home, possibly with no assistance and much disturbance then you should grab this opportunity to pull it together,’ encourages Katz. The Fast Track Seminars are extremely popular and class sizes are limited, so booking is essential. Only students who have booked by the registration cut off date of the module will be able to attend the classes. Students who are studying independently i.e. are not registered through Boston may also take advantage of the seminars but will have to pay a small fee per module. Bookings may be made through Evy Panagopoulos on 011 455 6992 or mail fast[email protected]. 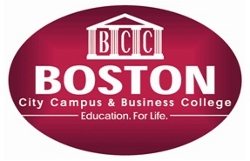 Boston City Campus & Business College is committed to “Education. For Life.” and prides itself on offering relevant courses that meet industry needs; quality academic material and tuition that deliver a high level of success for students and provide them with employable, work-ready skills. Boston guarantees a warm welcome to all and will answer all your questions.